BBBA would like to invite all members and friends to the BBBA ladies' informal get-together with a special guest John May. 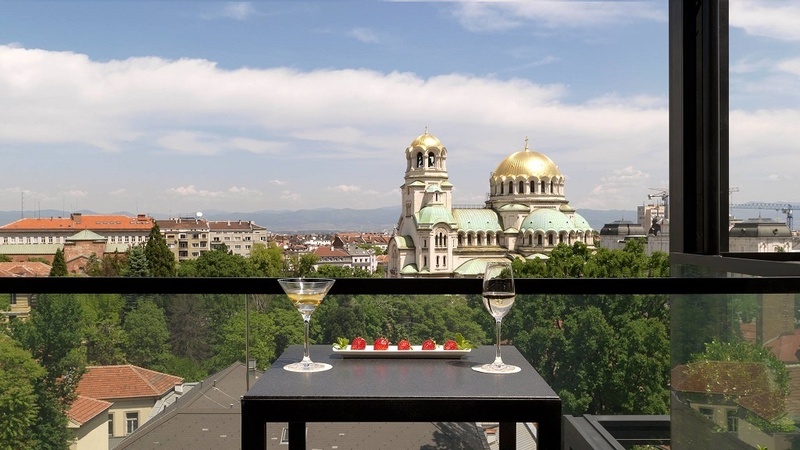 Venue: Rooftop Bar, Sense Hotel Sofia, 16 Tsar Osvoboditel Blvd. There are 1.8 billion young people aged 10-24 in the world today, making this the largest youth generation in the history of the world. Though fast-paced developments in technology mean the world has never been smaller or more accessible, it has, at the same time, become increasingly unstable, uncertain and often insecure. As today’s young people set out to find their place in the world, they face a broad mosaic of challenges. Bombarded by information, expectation and uncertainty, they are growing up with complexities and challenges unseen by previous generations. Equipping young people with skills and confidence for life and helping them to find their potential has never been more important. On an individual level this makes a difference to young people’s lives; on a collective basis, this has the power to be transformational. John May is Secretary General of The Duke of Edinburgh’s International Award Foundation. He is a campaigner, thought leader and storyteller who has spent his career working with young people and advising governments and civil society in the UK and around the world. Before joining the Foundation, John became a Head teacher at the age of 28 and went on to develop a reputation for reforming underperforming schools. Previously John was the national Education Director of Business in the Community, and a Chief Executive for Career Academies UK and Young Enterprise. John is a former non-executive director of UNICEF, a judge of the TES Schools awards and helped to found Teach First. John is based in London but travels extensively around the world on behalf of the Award. He is an experienced public speaker and commentator on non-formal education and youth development globally. In 2013 & 2014 John was listed amongst the Top 30 Charity CEO’s on social media. At the meeting you will have the chance to share your ideas and experiences about your business and to make valuable contacts. *Please note that payment for the lunch is made directly on spot. Set menu will be offered for the price of - 34 BGN per person. **Please confirm your participation by registering at the link below.